Discover why Hanoi in Vietnam ranked #59 in our countdown of ‘100 Most Incredible Cities in the World’. 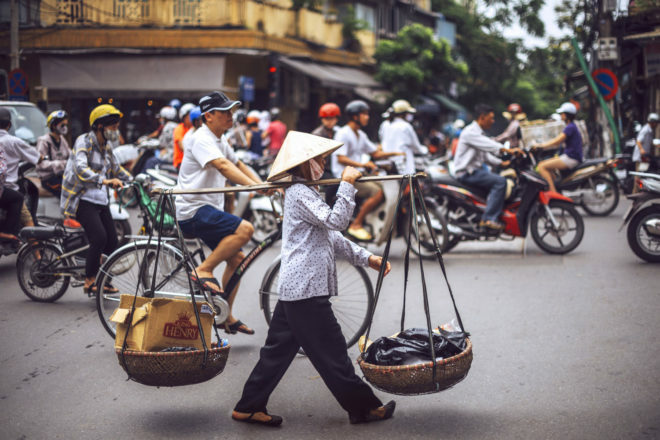 Situated on the banks of the Red River, Hanoi is Vietnam’s second largest city and capital. In its heart, the centuries-old Old Quarter is a cultural hotspot. Ancient forms of entertainment still exist in present day Hanoi, one of these being water puppetry. Dating back to the 11th century, villagers would make good use of flooding rice paddy fields by standing waist-deep and entertaining each other with puppets. The performance recounts Vietnamese folk tales and legends accompanied with traditional live instruments. Check out the Thang Long Puppet Theatre, which is regarded as the best in town.